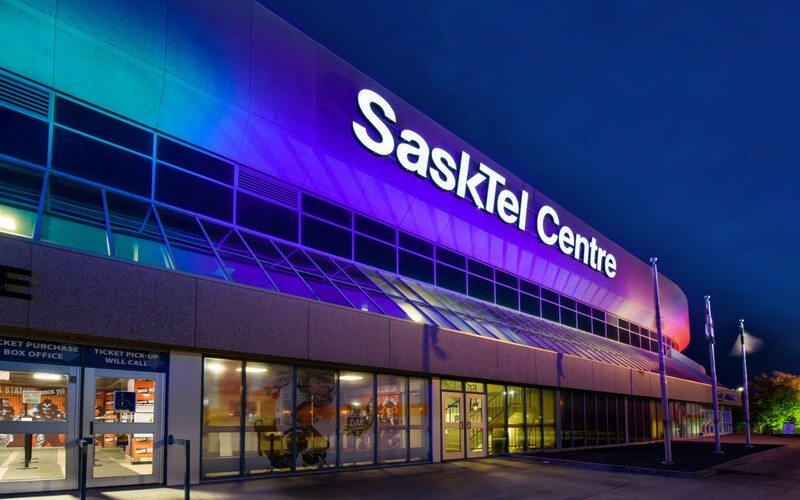 “We were always a focal point for the city and province, but the new light system took us to a new level,'' says John Howden, Director of Business Development at SaskTel Centre. 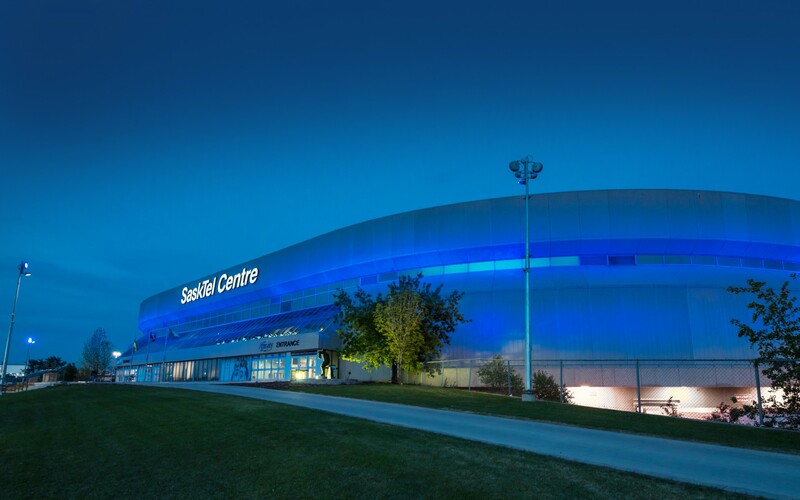 The SaskTel Centre in Saskatoon, Saskatchewan, is a 15,000-seat arena hosting sports games, concerts and other events. 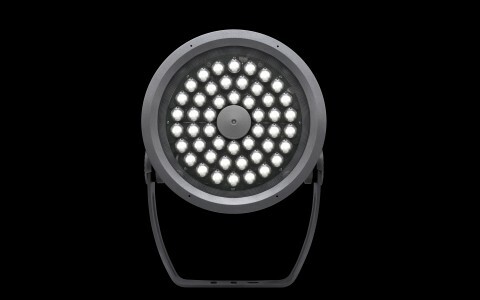 Lumentalk-enabled Lumenbeam Color Changing luminaires were used to floodlight the façade of the building. The luminaires, which use a mix of beam angles, are pole-mounted around the perimeter of the arena, at a distance of 50 feet from the facade. 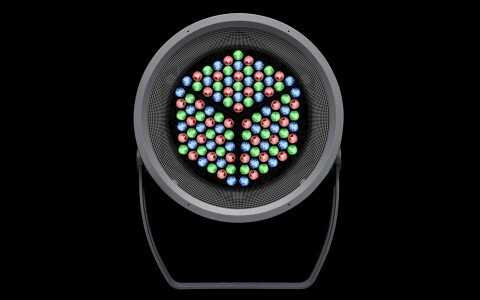 Fully programmable, the luminaires give the arena the ability to commemorate special events and holidays with different lighting scenes and colors. 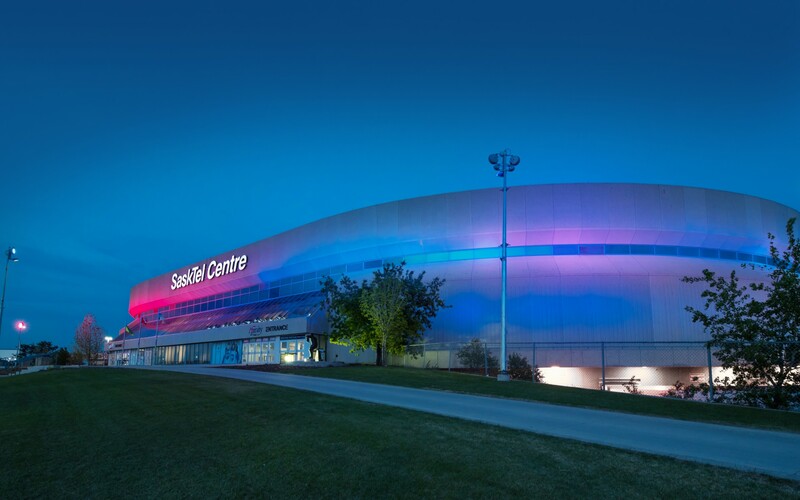 Lumentalk technology was used to provide dynamic, color-changing façade lighting to the SaskTel Centre in Saskatoon, without additional wiring for data. 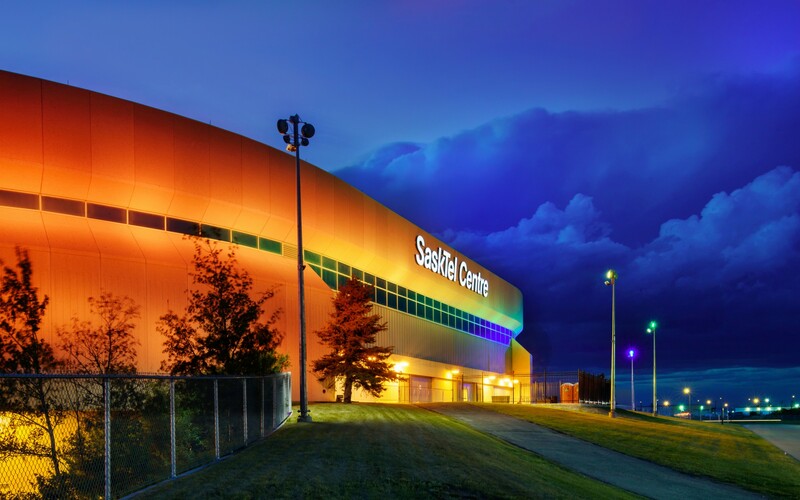 The challenge was that the Sasktel Centre didn’t want to dig up their landscaping or parking lot for a new lighting system. With the help of Lumentalk, we were able to overcome this by reusing the existing wiring, so there was no need to rewire anything, which saved tens of thousands of dollars. 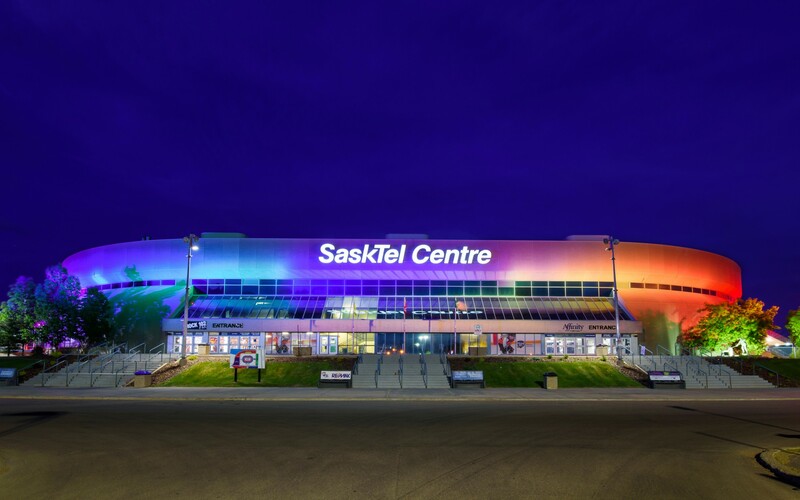 The SaskTel Centre in Saskatoon, Saskatchewan, is a 15,000-seat arena hosting sports games, concerts and other events. 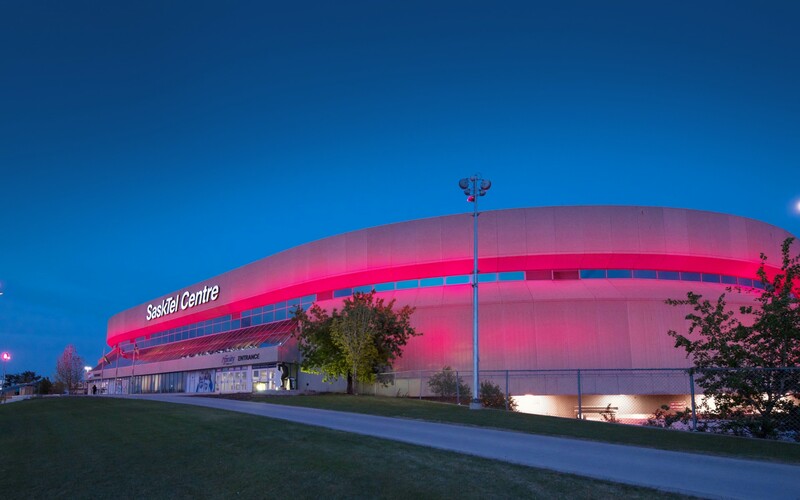 To upgrade an inflexible, inefficient lighting system - consisting of halogen and 400W high-pressure sodium luminaires - the Sasktel Centre turned to Lumenpulse's Lumentalk technology. "The intent was to illuminate the façade of the building, but also to give them the ability to commemorate holidays or special events with the ability to change colors," says Kirby Kotylak, Principal at lighting sales agent Electra Sales. 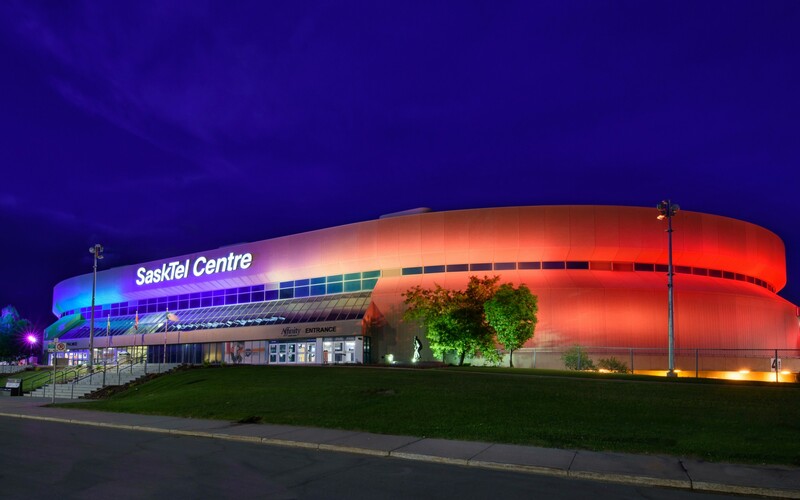 "The challenge was that the Sasktel Centre didn't want to dig up their landscaping or parking lot for a new lighting system. With the help of Lumentalk, we were able to overcome this by reusing the existing wiring, so there was no need to rewire anything, which saved tens of thousands of dollars," says Kotylak. 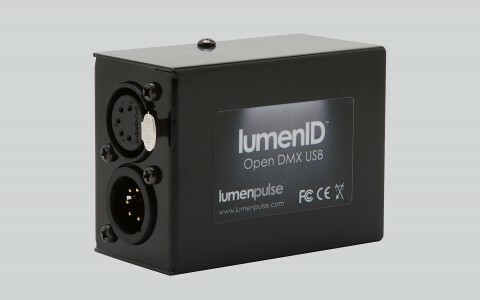 Lumentalk is a patented power line communication technology that turns uses existing electrical infrastructure as a bi-directional carrier for lighting control data, allowing easy upgrades to LED and digital control - without having to rewire. 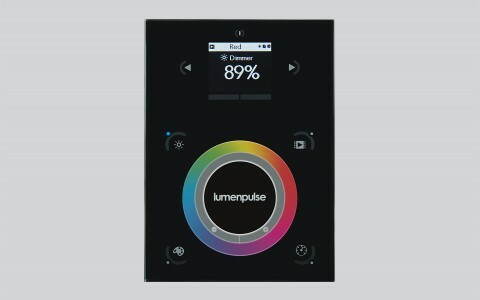 Lumentalk-enabled Lumenbeam Color Changing luminaires were used to floodlight the façade of the building. The luminaires, which use a mix of beam angles (6° and 10°), are pole-mounted around the perimeter of the arena, at a distance of 50 feet from the façade. 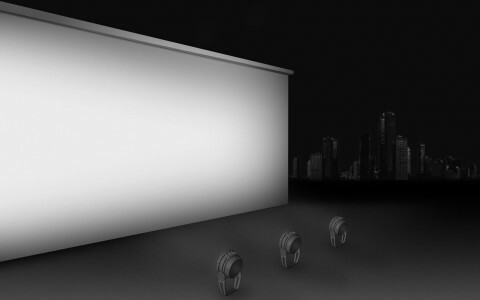 Fully programmable, the luminaires give the arena the ability to commemorate special events and holidays with different lighting scenes and colors. "We're very happy with it. 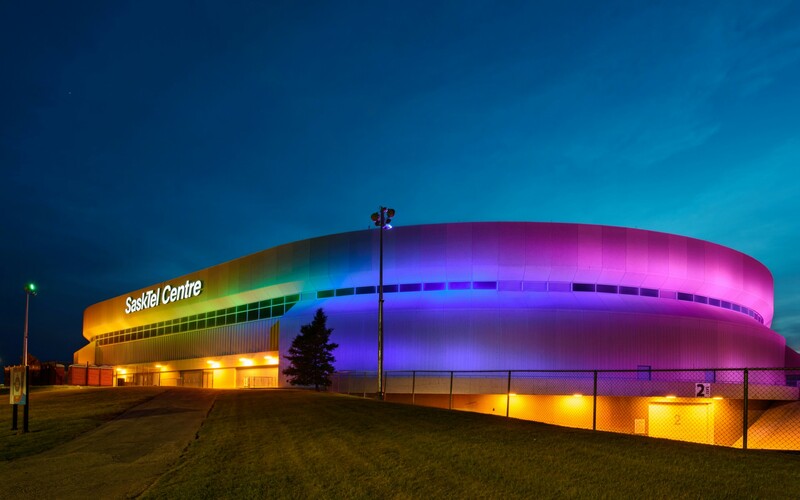 We were able to give the building a fantastic, dynamic effect, without any additional costs or disruptions," says Scott MacDonald, electrical contractor at Stadium Power, of the new lighting system. "You can make it move now," he says, which has not gone unnoticed. 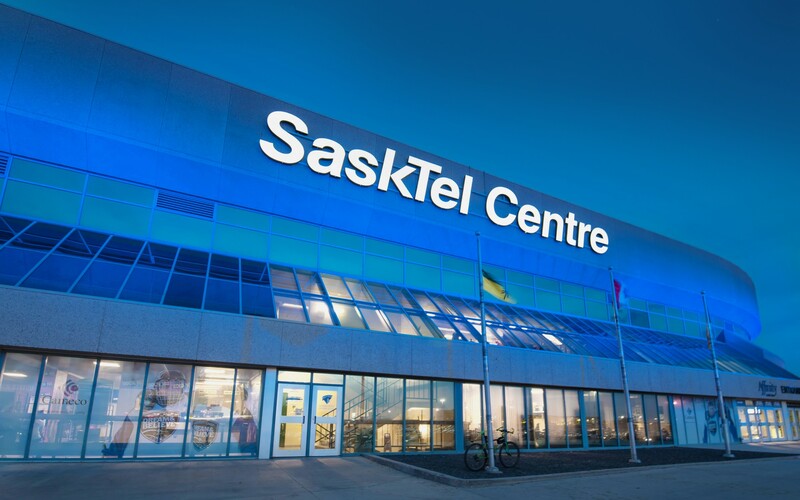 "It's being tweeted about daily, and the community absolutely loves it," says John Howden, Director of Business Development at SaskTel Centre. 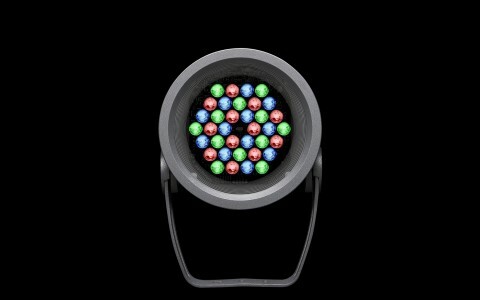 "We were always a focal point for the city and province, but the new light system took us to a new level."